In less than a week, I will be traveling to Nairobi, Kenya for a missions trip with a team of 6 Filipino friends to represent Breaking Point Foundation Philippines. After that 10-day stay at Nairobi, we plan to stop over for three days in Dubai and visit some friends, church members and other relatives of our missions team. 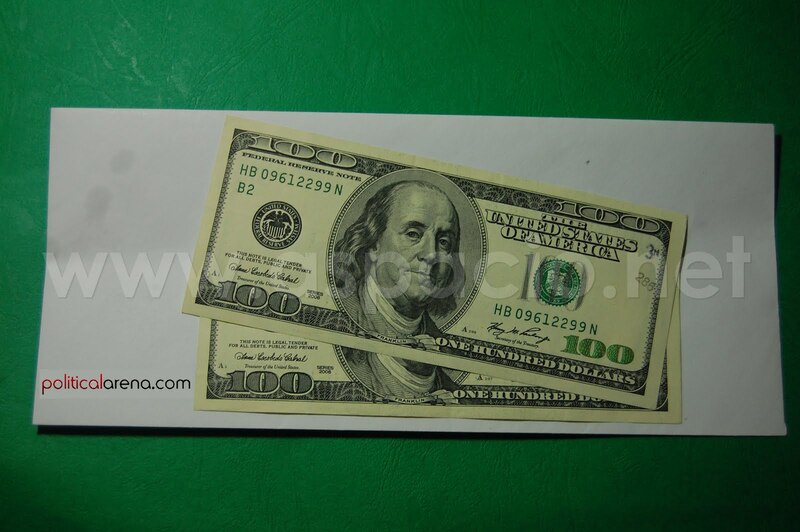 This would require us to spend a quite significant amount of money for the visa and, hopefully, to experience the desert safari, the total amount would be around $185 USD. The timely blessing is that after joining the Map Your Election Precinct Contest last March, I won the top prize of $200 USD (sponsored by PoliticalArena.com) for mapping over a hundred public/private schools in the Philippines. 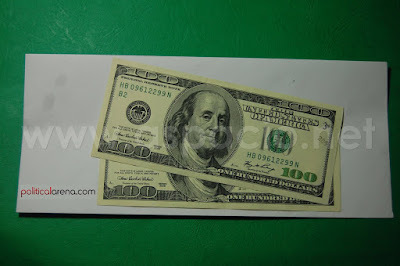 The second prize was bagged by a blogger friend, Earth, who won $100 (sponsored by Philippines Election Journal). The top two map makers (me and Earth) and the other qualified contest participants also received Google Mapmaker gift bags from Google Philippines. 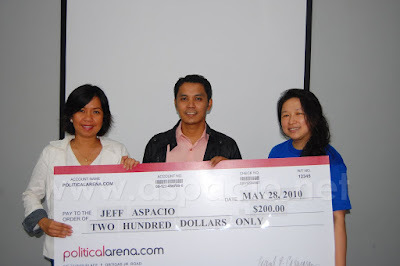 This morning, a simple awarding ceremony was held at the office of PoliticalArena.com in Ortigas Center and present to award the prize were Ms. Janette Toral of Digital Filipino and Ms. Racquel Cagurangan, General Manager of PoliticalArena.com. This experience reminded me of a passage in the Bible, in James 1:17 which says, "Every good and perfect gift is from above, coming down from the Father of the heavenly lights..." And for all these, I praise God for His provision for my upcoming trip. To God be the glory! congratulations jeff! Your life is truly a testament to God's greatness. May He continue to bless you and also your mission trip to Africa! Thank you so much Ria! I am excited for the trip. I hope I don't forget the Starbucks mug/tumbler from Dubai. Bro, Congrats on your prize and your trip. When are you leaving exactly? I read pala on Jen's blog that you got the new car more than a month ago. How was it? What happened to your Nissan California? Anyway, just dropping by to wish you and your family well. In case you did not receive my text last month, Hahai gave birth to our second baby, a girl, her name is Mita Ysabel.